In January, the group pointedly addressed gender inequality and sexual misconduct against women with their song and accompanying music video. The song was penned by CMT Next Women of Country member Kalie Shorr and Lacy Green, and received praise from national outlets such as The Boston Globe, Rolling Stone, Billboard and Grammy.com. The group is a proud sponsor of the TIME’S UP Legal Defense Fund. “As the song and music video continue to be embraced, we look forward to writing even more checks to the TIME’S UP Legal Defense Fund. 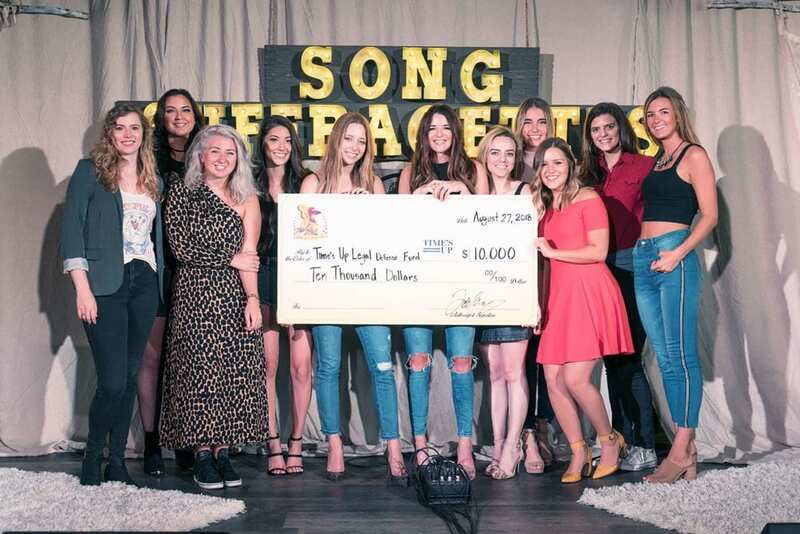 Hopefully more media outlets and social media influencers will continue to help spread the word about the song, the organization and most importantly, discrimination issues against women.” – Todd Cassetty, founder of Song Suffragettes. Song Suffragettes is a collective of female singer-songwriters that performs every Monday night at The Listening Room Café in Nashville, TN. In just over four years, Song Suffragettes has showcased over 200 talented women out of over 1,300 who have submitted to play the showcase. With a mantra of #LetTheGirlsPlay, Song Suffragettes vocally combats wide-spread discrimination against women in the music industry by giving female talent a place to play, grow and evolve with fellow creatives. Since its inception, 11 Song Suffragettes women have gone on to receive record deals and almost 40 have landed music publishing deals. With over two million views on their YouTube channel and a strong social media following, Song Suffragettes continues to fight for female talent to be heard throughout the country and beyond. For more information please visit www.songsuffragettes.com.